“Olivia!” My mother’s voice jolted me awake. I sat up in the rental van’s passenger seat, wiping drool from my cheek. Chase and T-dog’s Westfalia had stopped in front of us at a massive gate rising out of the darkness, topped with barbed wire and sporting several Danger: High Voltage and No Trespassing on Federal Land signs. We had arrived at Umatilla, and I’d fallen asleep, like I always did in a moving vehicle, before I’d explained to my mother that I’d lied about our destination. We were not on a scenic over-nighter up the Columbia River Gorge. That had just been a cover story. “Is this the motel?” Grant asked groggily from the back. It sounded like I wasn’t the only one who’d taken a nap. She was referring to T-Dog, who had gotten out of their van carrying something bulky under his arm. When he set it down and started fiddling with a controller in his hands, I realized it was one of those personal drones. Suddenly, the little thing lit up and went whirling into the air, kicking up dust and flying over the gate. On the other side, it dipped down and stopped, a green light flashing on its undercarriage as it hovered over some kind of control panel. As I watched, a green light began flashing on the panel too, like they were communicating with one another. Because they were. T-dog was hacking into Umatilla. He was breaking into a federally-owned chemical depot. I could feel my mother turning toward me, a question in her eyes, her lips parting to ask it. Headlights, high and wide, flashed in the rearview mirror, blinding me. They were barreling down on us, but I only heard the rev of the engine just before the crunch of impact. The whole van jerked forward, shoving us toward the back of the Westfalia and stopping only inches from its rear bumper. “What the—?” Grant yelled, and I heard cries of alarm from Passion and Samantha. My seatbelt dug into my waist and my shoulder, but the airbags hadn’t deployed, so that was good. In front of us, T-Dog scrambled back into their van and slammed his door. The gate started to open, the drone hovering on the other side, still blinking green. There was another crunching sound and a slight tug backwards. Then, more revving. “Hold on. They’re coming again,” my mother said, jamming the van into drive and laying on the horn like a mad woman. We couldn’t go anywhere. The Westfalia was right in front of us and some lunatic was behind us, gearing up to rear-end us a second time. “We have to go through,” I told my mom, gesturing at the gate. “I know,” she said, glaring out at the windshield and revving our engine now. “Get out of my way, you two. What are you waiting for?” she mumbled under her breath, laying on the horn again and not letting up. The vehicle behind was almost upon us. I could hear it coming. Up ahead, T-dog glanced at me in his side view mirror, but it was too dark to read his expression. Had he and Chase set us up? Was this their doing? The gate was open wider now, maybe wide enough for the Westfalia, but would it be enough for our bigger van? “Hold on,” my mom said, glancing in the rearview mirror and slamming her foot on the gas. I braced myself, this time for impact from the back and front, but it didn’t come. We surged forward, gently kissing the back bumper of the Westfalia, both of us racing through the still opening gate. I heard a horrible sound, metal screeching against metal, and sparks flew in a shower away from us as the huge closures of the gate scraped down both sides of our van. As soon as we were free and clear, Chase veered off to the right and pulled to a stop. As we drove past, I could see T-Dog holding the drone remote out his window, working it frantically, trying to close the gate before our attackers made it in. But he wasn’t fast enough. The pick-up truck that had rear-ended us roared forward, squeezing through just like we had. For a moment, I thought it had a really weird hood ornament, but then I realized it was the drone, flying low and toward us in front of the truck. “Get higher,” I murmured to the little thing. As if hearing me, it did, rising above the front of the truck only to plummet a second later just as the vehicle overtook it. And then it was gone, sucked under the huge wheel of the big truck with a soft crunch and a shower of shrapnel spraying from its undercarriage. “Stop the van,” I told my mother, but she’d already turned and was pulling up alongside the guys. 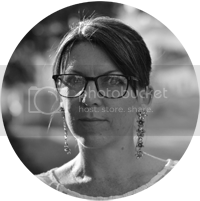 “Who is that?” I shouted out my window at Chase, pointing at the truck as it pulled up, headlights blinding us all, the gate clanging shut behind it. A dark form moved, crossing the dusty swathe of its high beams, and a man emerged, tall, wrinkled, and tan, a long rifle dangling from his right hand. 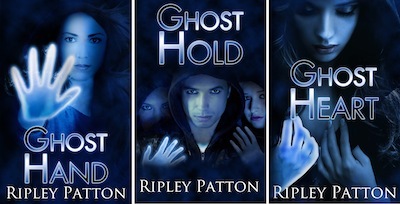 The second book in the series, GHOST HOLD, was released in September 2013. 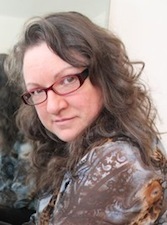 The third book in the series, GHOST HEART, was released in October 2014. 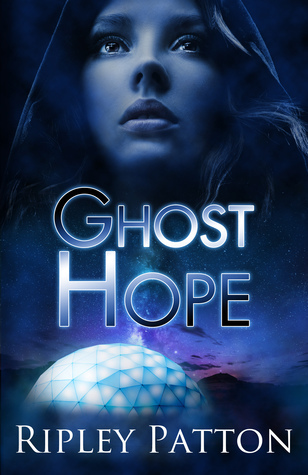 And GHOST HOPE, the final book of the series will be released in the Spring 2016.